Central Baptist Church was founded on September 12, 1906, in the home of Mr. and Mrs. E.G. Musgrove, followed quickly by our first revival, which started five days later. Dr. George Truett, pastor of First Baptist Church of Dallas, preached the service at which 32 new members joined the church, more than doubling the church’s enrollment. Our founders chose the name Central Baptist Church because the church was centrally located in the town of Jacksonville. Although the church has since moved to the outskirts of the city, the name is as appropriate as ever, since we hold Jesus as the central focus of all we do. Within a month of the church’s organization, the congregation outgrew the Musgroves’ home and moved to a small church building at 402 South Main that was left vacant when two Presbyterian congregations merged. The congregation made its home in this location, eventually selling the small church in 1913 to make way for a new building. The South Main location remained Central’s home for about 90 years, surviving a devastating fire in 1919 and undergoing several expansions, additions, and refurbishments. In fact, the 1919 fire showed early on the true character of the Central congregation. Not only did the membership vote unanimously to rebuild without outside aid, the congregation also voted to not let circumstances keep the church from contributing $30,000 the church had pledged to the Southern Baptist Convention’s great $75 million campaign. Within five years, the church was completely repaired and refurbished, the parsonage was remodeled, and the church contributed double its pledged amount to the SBC’s campaign. Most significantly, though, the results of the congregation’s unity of purpose and commitment to the Great Commission came in a 1920 revival, at which 92 additions were made to the church. 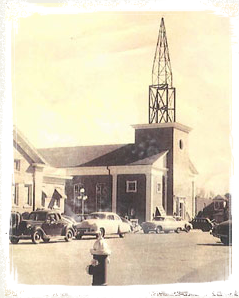 During a period from 1949-1951, additional Sunday School rooms, a fellowship hall and kitchen, an office complex, and a new sanctuary were constructed at the church. Easter Sunday 1955’s Sunday School attendance reached 905, showing the monumental growth of the church in its first 49 years. A third educational building and chapel were added in 1956, and the church complex was extensively renovated in the 1970s, as the congregation continually added to its numbers. In early 1997, the church voted to purchase land on U.S. Highway 79 North. 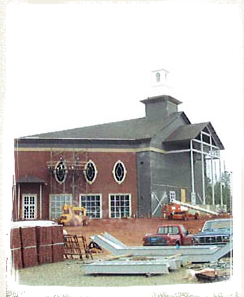 A groundbreaking was held at the location five years later, and the congregation met in its current worship center for the first time on October 5, 2003.